This was TOUGH! could only come up with one... that's yellow. Am posting to your FB page. O my goodness! We racked our brains trying to think of something for Y and yellow is so simple! Can't believe we didn't think about posting something Yellow at Disney. Now, you have inspired me to go through our pics and find something yellow! Yea, these were hard letters! I read your post today! Very cool! Yummy is right! I love all the food at Disney! 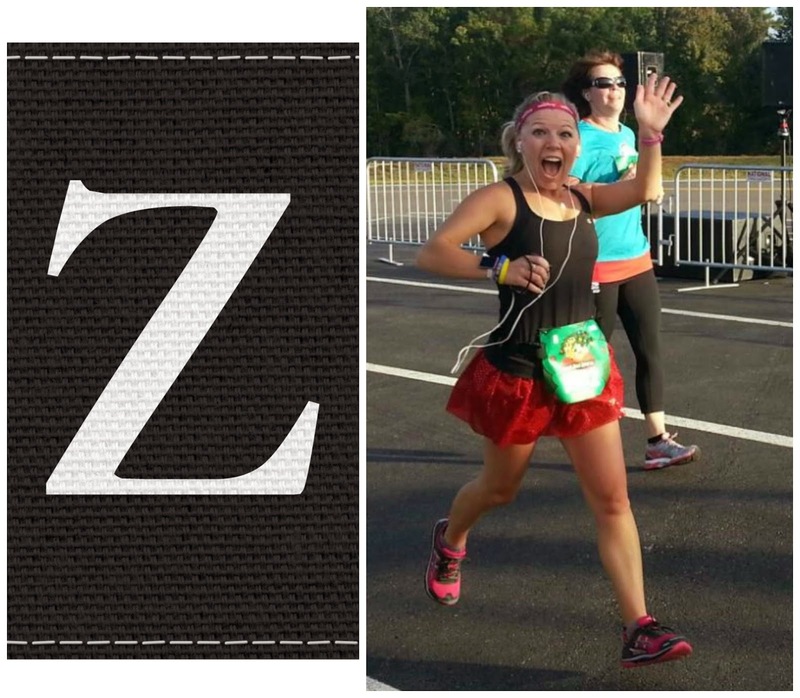 That picture of you at the Jingle Jungle 5k is awesome! Thanks Courtney! 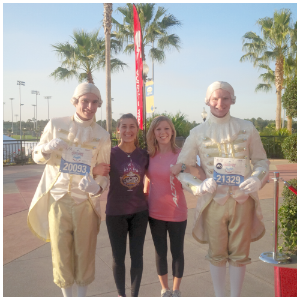 The Jingle Jungle 5K was a lot of fun. We got to run through Animal Kingdom. Love the photo's! Such cute dresses in your college grad picture! I loved that dress! Can you believe I still have that dress? Or at least I think I do. I'm gonna have to go check on that now! Hmm...maybe Z could be the Twilight ZONE Tower of Terror? Good thought! I don't have any pictures of that yet because I haven't ran it. 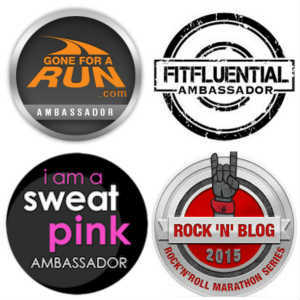 Are you running TOT this year? Thanks. Food pics are always fun! You guys look so cute it your pictures! oh Rachel you are too kind! Very clever choices! 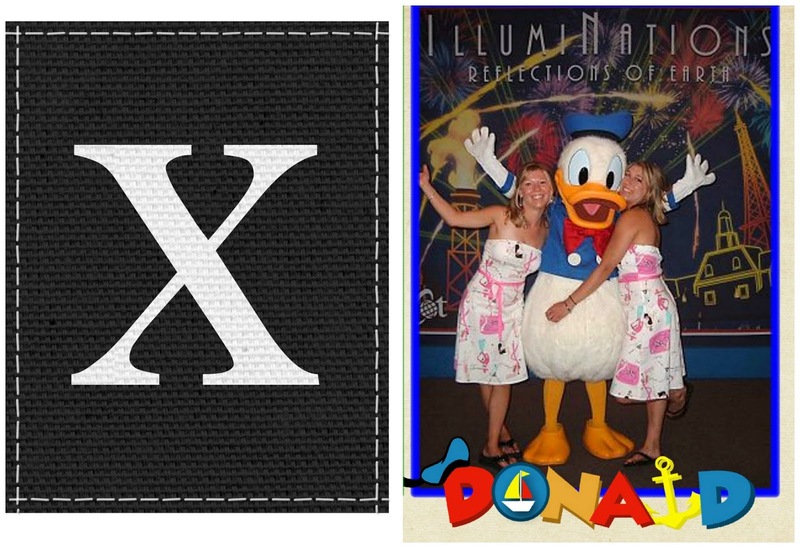 I love your "X" which could also be a "Y" with Donald's arms up! You are too Zippy cute!! 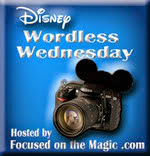 Thanks so much for sharing and for joining in the Disney Wordless Wednesday Blog Hop!! Love this post! Y'all look so cute in your photos!! Cute pics!! 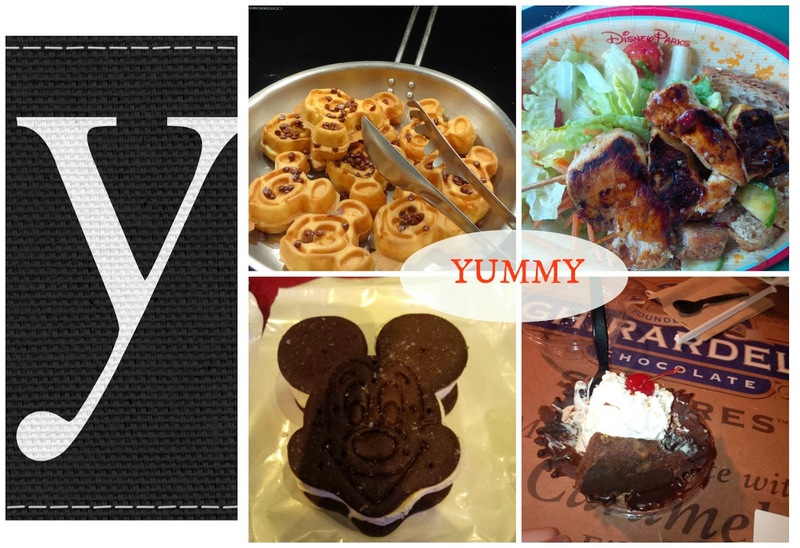 I was just thinking last night about all the yummy food at Disney. That would be my Y for sure! ooohh the Y pics are definitely my favorite! droooolll!! !